We’d love your help. Let us know what’s wrong with this preview of Harry's Trees by Jon Cohen. To ask other readers questions about Harry's Trees, please sign up. is their language or sexual references in this book? Not since Flavia de Luce in the Alan Bradley books have I been as captivated by a young girl in a novel as I am with Oriana in Harry’s Trees. There are those who will licken this book to a fairy tale for adults but it is so much more. 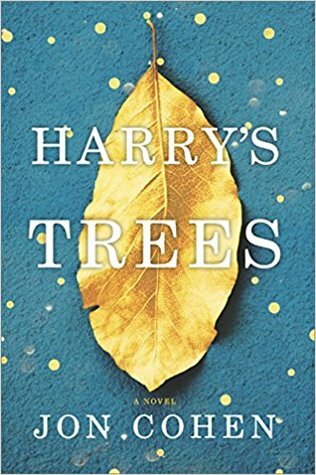 If you want to spend some hours with a book that will make you feel good, rescue you for a while from all of the bad news in the world, I direct you to Harry’s Trees. Harry Crane has suffered the loss of his wife in a very cruel manner and he feels to blame for her accident. He has spent a year of misery in his house, never moving any of his wife’s things, even leaving her toothbrush next to his. He works for the Forestry Department but sits behind a computer every day, he longs to be outside among the trees. His wife had always told him to quit his job and find “Harry’s Trees” and one day he does just that. He quits his job, leaves everything behind and heads to the Pennsylvania forests. He has come here to see the end of his life but instead he finds a little girl, Oriana. Oriana and her mother have suffered a loss of their own, her dad died unexpectedly one day, without warning and at a young age. Amanda and Oriana have been making their way in life, Amanda is a nurse, but the money is running out and Amanda is no longer sure which way her life is heading. Oriana is one special girl who spends large amounts of time in the forests and in the amazing treehouse that her father built for her. She loves to read and her favorite person in town is Olive the librarian who feeds her love of books. Olive has secrets of her own and some of those are revealed in a very special book that she gives to Oriana to read, The Grum’s Ledger. This book will play a large part in furthering the plot in this story. The story is told from multiple points of view, including the above named characters as well as Wolf, Harry’s brother, Ronnie and Cliff, friends of Oriana’s dad and Stu a down on his luck realtor with a devious nature. These characters are well described and very easy to visualize and understand. This is not just a magical tale. There is real human suffering, grief, loss, greed, redemption and great love. Seeing life through a child’s eyes is always magical and difficult to write about, Mr. Cohen does it beautifully. There are gorgeous descriptions of the forest along with information of many of the trees found there. Harry tells us in depth about each tree, how it lives and grows, during the course of the story. There are perhaps many of us who are “trapped” in jobs that we no longer care about and maybe Harry’s story will provide the nudge that we need to do something to change that or find something else that will enrich our lives. In any case, reading this book is a wonderful way to spend a weekend. 5 Incredible, Magical, Mystical Stars! “Harry’s Trees” is Most Magical Novel of the Year! It’s a must-read novel and is simply unputdownable! Harry Crane works for the forestry department. He is miserably unhappy with his job but is happily married to his wife Beth. He plays the lotto every week hoping against hope that he’ll win it big and be able to quit his job. One day while out with Beth, he stops to buy a lotto ticket and the worst thing imaginable happens - Beth gets killed in a freak acci 5 Incredible, Magical, Mystical Stars! Harry Crane works for the forestry department. He is miserably unhappy with his job but is happily married to his wife Beth. He plays the lotto every week hoping against hope that he’ll win it big and be able to quit his job. One day while out with Beth, he stops to buy a lotto ticket and the worst thing imaginable happens - Beth gets killed in a freak accident and Harry becomes a recluse. Beth always wanted him to quit his job and find “Harry’s Trees” and after she passes, he does exactly that. Amanda is also happily married, when her husband also passes away unexpectedly. She and her daughter Oriana have since been dealing in different ways. Oriana by going to the library and reading books and by going into the forest and hiding, playing amongst the trees and Amanda, by losing herself in others. Oriana’s favorite book is The Grum’s Ledger given to her Olive, the Librarian. The Grum’s Ledger is full of magic and it makes Oriana believe - in some of the most impossible things.. and yet.. life is full of possibilities. While out in her forest, Oriana comes across Harry Crane. Since the forest is a safe place for both of them, they form an immediate bond. Wanting and needing to live there, Harry rents Amanda and Oriana’s treehouse and in turn, he and Oriana help each other find their way. Using The Grum’s Ledger as a guide, Oriana helps Harry believe in the power of Magic and in the power of helping others. What starts out as a story of loss and grief turns into a wondrous tale of friendship, magic and pure love. It will make you smile through tears! These characters will live inside of you and warm you from the inside out. If there is one book you read this year, please let it be “Harry’s Trees” by Jon Cohen! I loved this book with my whole heart and hope you will too. Thank you to Hoopla for allowing me to listen to this incredible story! Harry Crane is 34 years old and a lover of trees. I can relate! He works as an analyst for the US Forest Service office. Unfortunately, Harry’s wife passes away in a tragic accident for which he feels responsible, and he seeks shelter amongst the trees. He wants to be lost in the forest and never found. But fate has different plans for Harry when he meets Oriana, a young girl who is also grief-stricken because she lost her father. Oriana is a character to love. She spends time in her fantastical treehouse that her father built for her, and she absolutely loves to read. One of her best friends is Olive the librarian. Olive gives Oriana a special book, The Grum’s Ledger, that plays a central part in the heart of this story. Harry shares with the reader his affinity for trees. He describes them with luscious detail, as a special side element to the story. The way this book comes together is nothing short of magical. In Harry’s Trees, there is real human suffering through tragic loss. But there is also hope and healing, and most endearingly of all, magic through the eyes of a child. Harry’s Trees is a captivating tale of discovering friendship in times of despair and traveling through tragedy to redemption. Thank you to Jon Cohen, MIRA/Harlequin, and Edelweiss for the complimentary copy. Harry’s Trees will be released on June 12, 2018. 4.5 stars rounded up! Oh my! I was totally lost in the beautiful imagery of this fabulously and magically written novel! 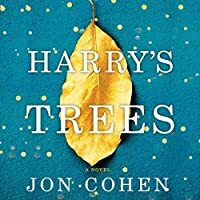 HARRY’S TREES by JON COHEN is an engaging, fascinating, and an emotionally moving tale that definitely tugged at my heartstrings but in an uplifting and heartwarming way. Even though there was some sadness to this story it was the love, kindness, and hope that magically flowed through from the pages of this book to my very being that absolutely touched my heart. JON COHEN deli 4.5 stars rounded up! Oh my! I was totally lost in the beautiful imagery of this fabulously and magically written novel! JON COHEN delivers an endearing, thought-provoking and beautifully written novel here with a fairy tale interwoven into the storyline to make this a charming and an all around magical tale. I absolutely loved how a fairy tale was written into this story and all the underlying messages that this book had to offer. I was immediately drawn into the fabulous setting and found the characters to be so intriguing and compelling and I was especially enchanted by young Oriana and how she played a major role in this story. Also, the descriptions of the library and the books from the librarian was such a welcoming part of this story for me. The only time I would say that I wavered from this story was some of the references towards the trees. I wouldn’t necessarily say I was bored maybe just a little bit uninterested so that is where the book lost a half a star from me. Overall, I thoroughly enjoyed the symbolism that the trees had to Harry’s healing and how the fairy tale was incorporated into this story which was intertwined by a strong dose of reality. Would highly recommend! Thank you so much to NetGalley, Harlequin and Jon Cohen for the opportunity to read an advanced copy of this book in exchange for a review! You're walking into a forest of trees....and you get lost in this novel. Jon Cohen beautifully intertwines trauma and grief with human connection. I think what I loved most about this is the powerful message that Jon conveys through Harry's Trees. Harry Crane suffers a loss with the death of his wife in a tragic accident and lives the next year in somewhat of a daze. Amanda and her daughter Oriana are also suffering from a loss and push through their tragedy the best they both know how. These three characters stumble upon one another ultimately by fate. Amanda, Oriana, and Harry connect deeply through their loss, grief, and love. The characters are so raw, real, and beautiful. The supporting characters of Ronnie, Olive, and Wolf add even more to the ultimate depth of the story. Cohen balances a unique mix of nature, fairy tale, and reality in this story. I loved how Oriana brought the magic to life as part of her healing. The only issues I had with this one is that Cohen references many latin terms for the trees and I wasn't particularly fond of this. It got a bit much for me ... but others may love this. I found some of the story to drag in some areas but overall this was a very unique and different story! I feel that this is going to be a very high contender for fiction fans! Thank you so much to Netgalley and Harlequin for the advanced arc. There is magic in our lives if we only open our eyes to see it. It’s the magic of seeing the extraordinary in the ordinary. That’s the only magic there is in Harry’s Trees, an extraordinary book that brings this message home in such a lovely way. There’s grief and sadness, but there’s also the magic of connection, of opening ourselves up to kindness, love, and hope, of giving and receiving. A book about grief and forgiveness, but also love and joy. It is charming and funny and is UpLit at its best. Heartwarming without being cheesy. It's a lovely reminder to choose kindness and love and open yourself up to a little bit of magic. * Harry, a 34-year-old employee of the Forest Service, whose grief, despair and guilt after the death of his wife (not a spoiler, as it happens early), goes on a mission and retreats into the forest in rural Pennsylvania. *Oriana, a 9-year-old girl who has recently lost her father and engages in magical thinking. She’s a girl after my own heart…she loves books, libraries, and reading and is simply delightful. *Amanda, Oriana’s mother, who is grieving the death of her husband but is a practical gal who does not suffer fools. *Olive, the pipe-smoking, octogenarian town librarian, who has a story of her own to tell. She is desperately trying to save the town’s library. In her wise words: “Get a book. Reading solves most things. Or at least assuages the heart.” “What else is a library, but a temple of truth? What other function do books have, the great ones, but to change the reader? Books to comfort. But most of all, books to disturb you forward.” I pretty much loved everything Olive said and did. * Wolf, Harry’s older brother who is a bully of the worst kind. * Stu, the town’s bad guy who will do anything to get rich quick and he has a scheme of his own to do so. Oriana meets Harry in the woods at a pivotal moment and is convinced she has the answers for both Harry and herself. She hatches an innovative scheme which she believes will save them both. Ultimately, these characters will all need each other to save one another. How they go about it makes for a sweet, funny, and charming read, which will surely be an all-time favorite book that has earned a place on my keeper shelf. Do yourself a favor and read it! This was another fantastic buddy read with my friend Marialyce. 3.5 Loneliness and grief are explored in this sometimes humorous and sometimes magical, novel. Of course there is plenty of sadness, but these characters are so different, touching that there is much to applaud within. A young girl Orians, who believes in magic, was my star here. A fairy tale for adults, in fact an actual book called The Grums Ledger plays an inportsnt part. Oh yes, and I loved the librarian who without payment for her services, keeps the library open. From the symbolim, Oriana 3.5 Loneliness and grief are explored in this sometimes humorous and sometimes magical, novel. Of course there is plenty of sadness, but these characters are so different, touching that there is much to applaud within. A young girl Orians, who believes in magic, was my star here. A fairy tale for adults, in fact an actual book called The Grums Ledger plays an inportsnt part. Oh yes, and I loved the librarian who without payment for her services, keeps the library open. From the symbolim, Oriana and her red coat, Harry's brother named Wolf, to the search for something to live for after a marked grief, this was at times an entrancing, but also sometimes a unevenly paced read. It was different, clever, like a jigsaw puzzle with the pieces waiting to find a place. It also helps if you love trees, because there is quite a bit of tree names, climbing of trees, and even an amazing treehouse. So much to like and enjoy here, but for me also times where I found myself bored, skimming to find a part that kept the plot moving. So a mixed read for me, but one that is definitely a worthwhile read for readers with more patience than I. It's a lovely story, one that evokes the ways in which sometimes in our search for money, we often lose our pathway. It is a story of blame, of wounding ourselves because we can't face the loss of love. It is a story of always trying to be something, anything than what you are. It is a story of love, a love so strong it propels people to the realization that finding a way through tragedy is often found by helping others who also have traveled this same sad road. The characters, the story line, the tragedies, the love, all come together to provide the reader with a walk on a magical road. Recommended for those who not only believe in magic but also for those who dream of ways in which we can all come together and make our days and nights something wonderful. Jan and I shared our love for this book together. It made us cry and that, dear book friends, to me, is always a sign of a good book. ....the narrative of the novel. I ‘equally’ didn’t like either. My kind of novel!! And EXACTLY what I needed to read right now. It's only January; the bar is set high for my Best Read of the Year. What a special book! Harry’s Trees was recommended by Anne Bogel on her podcast What Should I Read Next numerous times, but my library didn’t have it so I waited. And waited. And magically, one day it appeared on the new books shelf and I brought it home and I read it slowly over the past week. It’s so quirky and lovely and slow and special. I adored it. It’s magical but doesn’t actually have magic in it. It’s a fairy tale but not. It’s about grief and hope. And trees. Harry’s Trees is not an easy book to categorize. My local bookstore checked its inventory listing and informed me that the book was designated as “a book about trees.” Harry’s Trees is no more “a book about trees” than The Maltese Falcon is “a book about falcons”. The computer’s one-word description confuses the backdrop with the story. Harry’s Trees is about the half-dozen loving relationships among a small group of well-drawn, genuinely decent people living in a small Pennsylvania town. Many o Harry’s Trees is not an easy book to categorize. My local bookstore checked its inventory listing and informed me that the book was designated as “a book about trees.” Harry’s Trees is no more “a book about trees” than The Maltese Falcon is “a book about falcons”. The computer’s one-word description confuses the backdrop with the story. Harry’s Trees is about the half-dozen loving relationships among a small group of well-drawn, genuinely decent people living in a small Pennsylvania town. Many of them are suffering from devastating losses and several are burdened with crushing guilt, but as the action unfolds, they come together and end up saving one another. The story is uplifting rather than gloomy or depressing. As the narrative moves smoothly from scene to scene, with enough action and tension to keep the pages turning, and enough humor to mitigate the tension, the author weaves several dozen threads into an enchanting tale. There is a resourceful and strong willed nine year old girl named Oriana who rivals Mattie Ross, the heroine in True Grit, an ancient librarian named Olive who smokes a meerschaum pipe and seems as wise as Dumbledore, a hidden cache of $4,000,000 in gold bullion, a town where everyone knows your name, two bad guys who are too dimwitted to prevail, and one guilt ridden bureaucrat named Harry who has fled his government office job to live in a treehouse near his beloved trees. At the center of the story is a mysterious leather book titled "The Grum’s Ledger" which changes hands several times during the narrative. The book influences Oriana and Harry to embark on a preposterous scheme which Oriana believes could fill the voids in each of their lives. In a time of so much pessimism and general malaise, this beautifully written book reminds us that there are lots of decent people in the world, good things can happen and a belief in magic can’t hurt. And as an added bonus for anyone interested, you will also learn quite a bit about trees. Main characters are Harry, his lovely but early on, deceased wife, Beth, after a freak accident, Amanda (a new found friend of Harry), Oriana (Amanda’s daughter) and Olive, the town librarian. There are a host of others who participate in the story in one way or another, but these people pretty much are what runs it. My favorite character was young Oriana, hands down. This is a story of realism and also fairy tale/magical. It’s a do good story, pay it forward type, intersper Rating: a fair read. This is a story of realism and also fairy tale/magical. It’s a do good story, pay it forward type, interspersed with grief, guilt, missed opportunities, love, sadness, shame, loss, loneliness, betrayal and hope. It also involves a somewhat magical book, “The Legend of Grum,” which belongs to Olive/ the library. This big hearted story was such a delight. Vivid characters that come together under circumstances beyond their control. A serious of serendipitous and magical events lead them exactly where and to who they need. It was charming, heartbreaking, hopeful and just so lovely. Fabulous writing, unforgettable characters and an engaging story= happiness! I read this book a couple of weeks ago and I still find myself thinking about it. Don’t you love when that happens? Harry’s Trees is magical and romantic and quirky and weird. In the best freaking way possible I just didn’t want it to end!!! The way that Jon Cohen writes his characters (even the less than desirable ones) makes you fall in love with them. I was totally lost in his whimsical world. After a year of unsuccessfully dealing with the grief of losing his wife, Harry flees to the woods and his beloved trees. Enter Oriana and her mother, Amanda, also grieving over the loss of a father and husband. Harry thinks he is helping Oriana move through the sudden loss of her father, but the reality is that Oriana is helping Harry overcome the guilt that threatens to destroy him. and sweet message After a year of unsuccessfully dealing with the grief of losing his wife, Harry flees to the woods and his beloved trees. Enter Oriana and her mother, Amanda, also grieving over the loss of a father and husband. Harry thinks he is helping Oriana move through the sudden loss of her father, but the reality is that Oriana is helping Harry overcome the guilt that threatens to destroy him. and sweet message about grief and the support we can find from others. Olive the Librarian is great!! !, and the dog’s liberation from his own suffering brought tears of joy. This book is poignant, and inspiring, and beautifully rendered. I am giving up on this one at 34%. The story is interesting but I am not sure it's taking it as far as it could. It seems to be delving into a magical realism setting, but it doesn't seem fully committed. And, while the writing is solid, I just wasn't engaging in the character's dialogue. Something was just missing the mark for me. Many thanks to NetGalley and the publisher for providing with an advanced copy in exchange for an honest review. Wow! Fascinating mix of reality and magic. I love this story!!! This book is about love. Losing love and finding love. Amanda and Harry both lose their spouses on the same day. They face life after their loss differently but in many ways the same. Fabulous characters that will take you into the land of fairy tales, trees and ever watching Red tailed hawks. This book reminds us that hearts can mend. It is better to have loved and lost than to never have loved at all. Delightful read bringing together unlikely characters showing how human connection, hope and faith can get you through loss. Harry Crane loses his wife tragically in an accident he believes karma (or the like) from his actions caused. After a year his grief culminates to where he can't stand it and he flees to the trees to end it all. A young dreamy but precocious girl, her grounded mother also a year in on their on grief interferes with Harry's plans. The three find themselves unexpectedly intw Delightful read bringing together unlikely characters showing how human connection, hope and faith can get you through loss. Harry Crane loses his wife tragically in an accident he believes karma (or the like) from his actions caused. After a year his grief culminates to where he can't stand it and he flees to the trees to end it all. A young dreamy but precocious girl, her grounded mother also a year in on their on grief interferes with Harry's plans. The three find themselves unexpectedly intwined in their own healing. The plot deals with real loss and sadness. But there is a magical or fairy tale like feel as we see the characters slowly emerge from their pain of isolation to have hope through human connection. I love this story. Those that bring together unlikely characters to show how we are all connected are my favorites. The story is believable with some whimsy for those who believe magic can be found in everyday. 2019 MMD Reading Challenge "A Book by an Author Who is New to You"
I was excited to start this book as I see a lot of great reviews on it. It started off good for me until I got to 21%. Then it was too magical for me and I found myself skipping pages. I just didn’t care for it. DNF for me. Loved this book! Starts off sad but it is really up uplifting book! This is definitely in my top 10 this year! Firstly, I fully own this quirk, but the fact that Harry is billed as being 34, having been married for 14 years in the book description and in the story, it comes out that he was actually 22 when he met Beth, which would make him 37ish when the story happens just kills me. Editing is important, people. Having said that, this book was sweet a lot of the time and streaky other times, there were times when I winced at the characters and stories, and other times that I was fully entranced. Even if you took away the fairy tale charm that abounds in this book, the story is a terrific reflection of love, loss and healing. The characters are beautifully developed and the setting in rural Pennsylvania is accurately portrayed; I've walked in those woods. The author has certainly jumped on the popularity of revisionary fairy tales. Fans of Once Upon a Time and Grimm TV shows and recent retellings of the old stories in new settings in adult and young reader books and movies will certainly Even if you took away the fairy tale charm that abounds in this book, the story is a terrific reflection of love, loss and healing. The characters are beautifully developed and the setting in rural Pennsylvania is accurately portrayed; I've walked in those woods. The author has certainly jumped on the popularity of revisionary fairy tales. Fans of Once Upon a Time and Grimm TV shows and recent retellings of the old stories in new settings in adult and young reader books and movies will certainly enjoy this book. But I was drawn into the book by Harry Crane, who experiences a devastating loss and I wanted to find out how he was going to cope with his overwhelming guilt. I enjoy nature and would self describe as a "tree hugger", so I also appreciated many of the references to the nature guides and latin names for the trees that surround us. Others might not. While not essential to the story, they build the character of Harry. The illustrations of the grumm are also not needed to further the story, but they visually add to the effects of the librarian's special book. We, like Harry, are enchanted by the young character Oriana. She is the one who reminds us there is actual magic in our lives if only we open our eyes to see it. This is a unique book blending the harsh reality of grief, the devastating power of greed, the sorrow and angst of abandonment, the disastrous effects of guilt and then helps the characters and the reader to find redemption in the restorative and almost magical powers of kindness, love and hope. I was drawn into this book as if I were a young and impressionable young reader again, awaiting a happily ever after. I wasn't disappointed. Readers who appreciate adult fairy tales, a bit of magical realism, and quirky characters might find this an enjoyable read. Despite some poignant themes, I didn’t love this. For the most part, I chalk this up to not my preferred genre. Others have loved it. A former critical care nurse, Jon Cohen is the author of "The Man in the Window" and "Max Lakeman and the Beautiful Stranger." Jon is the recipient of a creative writing grant from the National Endowment for the Arts, and is the co-writer of the film "Minority Report," directed by Steven Spielberg. His latest novel is "Harry's Trees." Jon lives with his wife outside of Philadelphia.